Whether you have a crying, sleep deprived baby, or are an insomniac yourself, a sound machine may be just the thing that can help restore your peace. We have all heard how listening to natural sounds such as the trickle of the rain drops, the ocean or white noise, is helpful in soothing a wailing infant, and often helps you relax and sleep better. So, instead of downloading such soundtracks or videos, we now have these ‘sound machines’. A good night’s rest is one, requisite for restoring the peace and sanity of a human mind. So, these machines are made just to deliver the perfect sound through the night that helps you catch up on your sleep, giving you an unperturbed snooze through the night so that you are fresh and happy all day long. However, looking for the right one for your home can be a daunting task. But, fear not. We are here to make your life easier. Here we’ve discussed some of the most popular brands and machines, in detail to help you make the right choice. If you have ever suffered from insomnia or tinnitus, you will find nothing more soothing than the Big Red Rooster Sound machine. The machine comes with six built-in sounds that help give you a smooth, uninterrupted and peaceful sleep, all through the night. Choose from amongst rain, brook, white noise, thunder, summer night or ocean sounds, whatever appeals to the senses and sleep like a baby! This machine can be left turned on all night long or timed to turn off by itself after fifteen minutes, half an hour or 45 minutes or an hour, however you feel comfortable. Moreover, the size is great, for traveling or keeping by your bedside. Just plug it in or use AA batteries, as you find convenient and enjoy a sound sleep. Really easy to use, with adjustable volume levels, and quality speakers, it gives you a natural surround sound. A wonder product for the colic babies and toddlers, it helps settle them and coax them back to a good night’s sleep. A portable, affordable, and very powerful sound-producing machine, this one comes with six different sounds that will help you fall asleep in no time. It also has a timer that turns off the device at whatever instant you set it to. The high-quality sound soothes the senses and helps you relax and sleep easily through the night. Very bright ‘ON’ button light. Does not include the instruction manual. 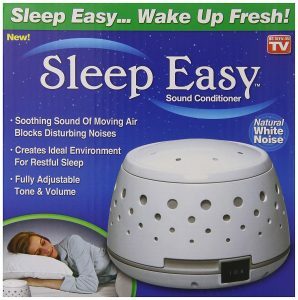 The Sleep Easy Sound Conditioner is an all-in-one solution for your “sleep fast & wake up fresh” routine. 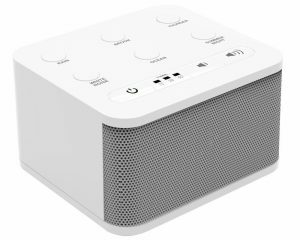 The sound conditioner creates natural white noise and eradicates the background noise (distortion) in order to create an ideal environment for a peaceful sleep. The unit weighs only 1.5 pounds, having a compact design, a non-slip base, and easy plug and play on/off switch and comes along with the volume control. 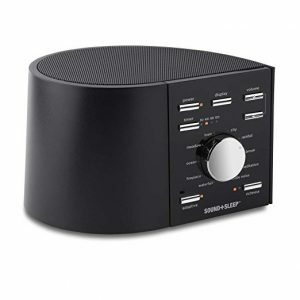 Sleep Easy sound conditioner is ideal for the baby’s room as well and for all confidential conversations, conference rooms, at home, office, in dorms, etc. That is, wherever an individual desires peace, comfort and some quiet time to relax. The portability makes this one ideal for placement on desks and also small night stands. Also, you can take it with you when traveling. The tone and volume are fully adjustable so to meet the exact requirements of the user. However, the volume cannot be upped to extra loud. Since the prime focus of this device is to help you fall asleep and relax, rather than to disrupt peace. For students particularly Sleep Easy machine does not only make sleeping easy but also it makes studying rather easy too. Since it is during this study time that the student needs a boost to help build focus. Hence, instead of looking for a quiet place to study use this sound machine no matter where you are and you will love how it affects your concentration and productivity. Sleep easy sound conditioner is portable, affordable and a convenient plug and play solution for minimizing the impact of annoying background noises. It makes sleeping far easier and also enhances the quality of life by eradicating noise pollution. Sleep Easy Sound Conditioner application is not just limited to making the babies and toddlers go to sleep but also a wonderful solution for private conversations and for creating an environment for studies. The volume is not too high. Some users often complain about the smell of motor. The Sound + Sleep is a prescription free solution for sleep cravers. The Sound + Sleep Fidelity sleep sound machine allows you to tune out the world as you tune into the natural, deep sleep. The Sound + Sleep offers approximately 30 rich and highly captivating nonlooping, natural sounds that make your room perfect for a good nights’ sleep, for your comfort, and relaxation. The Sound + Sleep also blocks out the external sounds that affect us individually and also cause noise pollution. There is also an audio connector inside the unit for private relaxation and comfort over the headphones. The front panel lighting automatically dims out, so that the sleeper can rest free from any sort of distractions. This machine also comes with the ASTI (Adaptive Sound Technology Inc.), as another interesting feature. This smart sensor ‘listens to’ and observes the external environment and responds accordingly by adjusting the audio volume and type. There is also a sleep timer that slowly lowers the volume over a period starting from half an hour (30 min) and going up to 2 hours (120 min) so that the sleeper drifts off into a deep sleep. The unit is compact and weighs approx. 2.6 pounds. There are 10 sound profiles under the low to high volume and within each profile, there are 3 sounds. So, you get a total of 30 rich, immersive, non-looping and adaptive sounds. The Sound + Sleep is the complete solution for a peaceful and restful sleep without any prescribed medication. There are 30 rich adaptive sound tones that can be used as per your liking. The sound + sleep eradicates all the background disturbing noise and gives you a quality sleep that makes you a happier and healthier person. Adaptive technology adapts to the sound according to the environment. 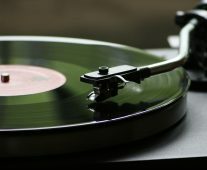 30 rich immersive sounds that are 30minutes long and non-looping. Quality is slightly off the mark. White noise starts making hissing sounds after some time. Adaptive Sound Technologies Lectrofan is an ideal noise cancelling device that allows you to watch sports or movies on TV late at night while your kids can sleep, peacefully and comfortably in their room. 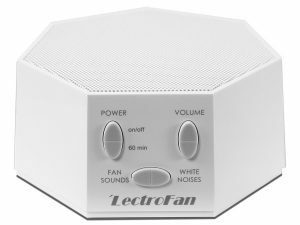 The Lectrofan comes with 10 different fan sounds and 10 ambient noise variants that produce a nonrepetitive sound and provide a unique sensation of comfort and ease. The Lectrofan is portable in size and weighs only 1.26 pounds. The device is powered by the USB-AC adapter making it safe and keeps it from overheating and accidental burns. Neighbors going crazy over a party? No worries! Just turn on your machine and let it drown out the banging music and noise and relax and sleep in peace. It also reduces noise pollution and gives you a precise volume control in order to match the environmental sounds in exaction. The device has just made life easier by offering speech privacy, eliminating noise for enhancing focus while studying and by giving you a complete control over the environment’s audio. The price too is quite low making Lectrofan a great value for money product. The barking dogs, car horns, and construction drilling will have absolutely no impact on your sleep and you can enjoy a peaceful sleep and sweet dreams all night long. The LectroFan gives you great value for money. The unit is compact and comes with 10 fan sounds along with 10 ambient noise variants producing uninterrupted and non-repetitive sounds resulting in a good night’s restful, peaceful and comfortable sleep. No matter what neighborhood you live in or whatever disrupts your sleep, you can relax and let it drown out all the noise keeping it smooth and relaxing for as long as you want. 10 Ambient and 10 Fan sounds. Safe plug & play device. Automatically turns back on in case of a power failure. 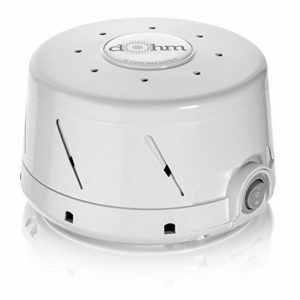 Marpac Dohm-DS All Natural Sound Machine that creates soothing sounds to mask out the irritating noises. Marpac is an Official Sound Conditioner of the National Sleep Foundation and is made in the USA. You can keep all your conversations held at the office private, and put your kids to sleep and also settle the restless babies. Late night shift workers can also find peace and set their own sleep schedules with this sleeping aid. The machine is quite simple to operate. Just turn on the fan and tune it to match the environment. The machine is portable and weighs only 2.2 pounds. The price is also comparatively lower than the other sound conditioners in the market. The fan has two speeds that allow the user to conveniently adjust the sound according to the background noise that causes a disruption. The tone is consistent and prevents you from waking up in the middle of the night. Designed to give you the most comfort and rest so that the late night workers and others suffering from sleep troubles, can go about actively to their full potential during the day or their shifts. The machine allows you to focus and pay more attention to the task at hand whereby allowing you to control the sounds of the external environment. There is an 8-inch cord and the machine comes in 3 different colors i.e., tan, white and black. Marpac Dohm-DS sound conditioner is the USA-manufactured machine that is quite compact and easy to use. The quality is comparatively great and the machine weighs only 2.2 pounds. The sound conditioner is really easy to use and with 2x adjustable fans, the user can easily tune out all external noises. You can also choose from three different color options. Great quality and a value for money product. The motor may create noise with time. Next we have the Conair Sound Therapy Sound Machine. Although it has 10 types of sounds, the audio is often not as clear and fails to make an impact. Many of the users describe the sound as ‘crackly’, that makes it rather annoying than pleasantly soothing to the ears. On the positive side, it comes at a great price, has the volume controls and a timer. But, again the sound quality is not that good and most of the sound tracks, have smaller loops and a very clear repetition. Hence, it is not recommended for sleeping as it fails to soothe the senses. Yes, you may keep it in the office to muffle your private conversations, as long as you can tolerate the repetition in the sounds. However if you wish to muffle loud sounds, then this is not the ideal choice amongst all sound machines. Plus the timer shuts off the machine after 60 minutes of use. That is, with this one you do not have the option of setting the time for every fifteen minutes or so, like you do in the options we have discussed above. You get 10 different sounds with this machine. Moreover, it is available at a great price, functions well and cancels out all distracting noises around you. Also, you can tweak the volume setting as per your requirements and use the timer as well. It also runs on both the electricity and AA batteries, so good for traveling with as well. Can run on AA batteries. We all know the health benefits of a sound, uninterrupted sleep. Unfortunately a good night’s sleep is a privilege many cannot enjoy. Whether you are a light sleeper, suffering from insomnia, have a loud and lively neighborhood, or a partner who just wouldn’t stop snoring, a sound machine may be all that you need. These machines are specifically built to emit natural sounds that help you relax and sleep peacefully, unperturbed through the night. Most of these machines come with multiple sound options, so that you can select one that suits your senses the most., Generally there are about 1-2 options, but many of the top-grade models also include over 20 different sounds! And even the thunderstorm, etc. If you are aware of which sound suits you best, that’s a great start when it comes to the selection of the right sound machine. While most units run on electricity, many can also be powered by batteries. If you are looking for a more portable device, say for traveling especially, one that can be powered by both the electrical source as well as batteries is most preferred. This enables you to turn on your unit in areas where there are electricity issues as well. The sound machine may only come with a single sound or have a complete collection of multiple sound options. Although multiple sounds may seem like a great package, but if you are only interested in using one or two sounds of the whole collection, what good is the whole deal? Make sure the machine has only as many features as you need. A much complex machine, will not just be hard to use but all the additional features that you really do not need will be much of a waste. So if you are looking for a simpler option, there are many you can choose from. The quality of the sound is a very important factor to ensuring a good night’s sleep. The sound has to be loud and as realistic as can be, without any distortions or undesired pitch. A good sound machine should ideally be designed to make you feel as though you are surrounded by nature and give you peace. If the machine actually gives off sounds that shock, displease or somehow alarm the listener, then that actually fails its purpose. The volume adjustability is another feature you must look for when going for the purchase. It will help you set the sound to the desired level, and it wouldn’t always be too loud or too low. You can keep it as per the requirement and general noise level around your room or setting. Many of us may need to have the sound played all through the night for a smooth, uninterrupted sleep. However, some just need help in dozing off and once in deep sleep, any sounds or noises really do not matter. For the latter types, these machines are often equipped with a timer. This shuts off the unit after 15 minutes, or 15 minute intervals, as desired. This way, it does not stay powered on through the night, and you don’t have to get up to turn it off at any time during the night either. As an added feature, many devices also come with the alarm clock. Why keep a separate clock on your bedside table, when the sound machine can serve both purposes? So, if you have to wake up early every morning for work/studies, you can look for one that with the alarm clock and make your life easy as can be! A static noise, quite similar to the radio or Television static we hear, produced electronically is termed as the white noise. 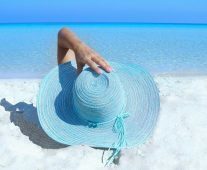 While it is generally not that pleasant to the ears, it is found to be associated with mental relaxation and for helping individuals focus better. Nowadays, sounds of nature and other peaceful and soothing sounds are also often termed as white noise as well. White noise is typically found useful for putting crying babies to sleep, for meditation, elimination or hushing up of confidential conversations, etc. The most preferred usage of white noise however, still to this day remains as a sleeping aid. Apart from being soothing, and relieving for the senses, this also helps reduce the undesired sounds, that often disrupt sleep. For instance the roommate’s annoying snores, noisy neighbors, annoying dog barks and the like. The sound machines create a relaxing sound that helps you go into a deep sleep, uninterrupted by any undesired noises. 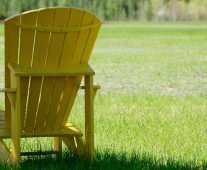 Plus, it is also found useful for meditating or for taking some time off work to just sit back and relax. This technique is often used by workers and according to them, it helps them stay focused and increases their concentration at work. Plus, if you are with a crying, inconsolable toddler at home, white noise often wondrously helps put them to sleep, or soothes them. To know more about how white noise works and benefits people all over the world, read here. Sound machines are devices that play certain sounds that help relax and soothe the senses. These are typically made to help people with sleep troubles, sleep better. Often, these machines are termed as the ‘sound conditioners’, ‘white noise machines’ and even simple ‘noise machines’. Are looks important with these machines? Typically, all these sound machines, are really not made to be displayed as pieces of art. Looks are the least important concern of many when they go out looking for the sound machines. However, nowadays many of the manufacturers are considering the requirements of kids especially and designing these sound machines in accordance to their preferences. For instance, you will find these in the form or shape of a teddy bear, a cylindrical vase-like shape, etc. Still, the general appearance is not very pleasing, and neither, does that matter to most. Who can benefit from these sound machines? Generally people suffering from either tinnitus, insomnia or other sleep related issues, can benefit from these sound machines. These help the mind get off stress, and relax. Giving you a full night’s rest that your mind and body needs to function through the day. While the benefits of these machines for enhancing the quality of sleep far outweigh the costs these come with, here’s how they can help individuals who may be facing the following issues/situations. People who work the night shift: Sleep is quite tricky for people who have to work through the night. No matter how crucial it is for the mind and body, often it is quite hard to fall asleep with this routine. The body and brain may oppose the new and odd timings. So, these machines come in handy here too, as the brain focuses on the sound and ignores all other disruptions around. This way night workers can relax and catch up on their sleep during the day. The light sleepers: People who tend to get awakened by the slightest noise can benefit from these. The machine creates a sound that helps the brain stay on the same frequency. This way, any abrupt sound is often masked by this constant sound and the brain fails to notice it. So, light sleepers, won’t have trouble sleeping through the night. At office: many a times we find it hard to focus and keep our heads onto our work. 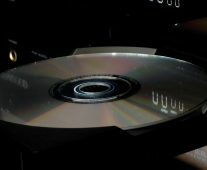 The sound machines help a great deal when taken to the work place, as they keep the mind away from all other kinds of distracting noises and sounds. So, the mind doesn’t wander off and you can concentrate on the work at hand, better. New mothers: New parents, especially mothers often have to deal with the cranky/colic babies. This takes a toll on one’s sanity, when you hardly get a few minutes of sleep through the night. The sound machines are a blessing for all such moms’ and dads’ too. Just turn on the sound, and once you figure out which sound soothes your baby the most, life will be a whole lot easier. Babies often instantly fall asleep upon hearing their favorite sound and parents can have a night of much peaceful sleep as well. However hard it may be to find the right sound machine for your room, it will really have an impact on your lifestyle. Once you start using one, you will find that you sleep better, wake up refreshed and are able to stay focused and be more productive at work. Keep in mind the points we have covered in the article and you will find just the one you must have by your side. Sweet dreams!